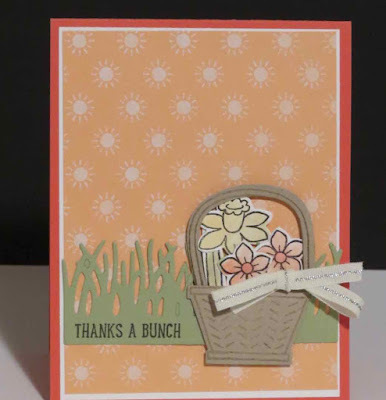 Karina's Kreations: Stampin'Up Basket Bunch Card! 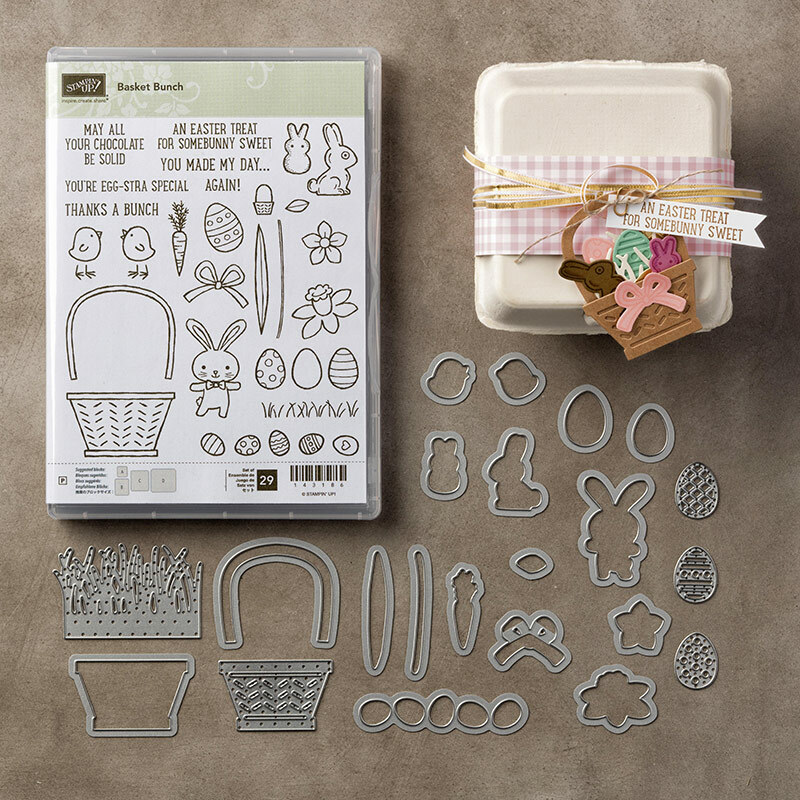 The basket bunch stamp set and Basket Builder framelit dies#144731 are so fun to play with! I love that all the stamped images have coordinating framelits. I'm don't like fussy cutting so framelits make me happy. This card is made with Tasty Treats Specialty Designer Series Paper #142770 and 1/4" Silver Natural Trim Ribbon. I got my box of new product today so I hope to have some new samples to show you soon.